Engraving depicts wooden structure, built in just a few weeks, to hold 10,000 delegates to the party's nominating convention. In the years following it was used to hold rallies and political meetings during the Civil War before its demolition sometime during the late 1860s. Today, its location can be visited at the intersection of Wacker Drive and Lake Street. 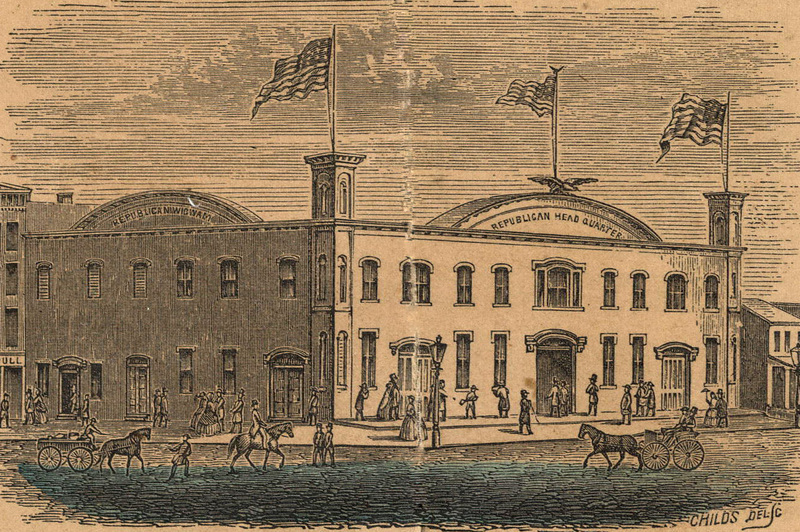 “"Wigwam" of the 1860 Republican Presidential Convention, Chicago,” OpenValley, accessed April 25, 2019, https://openvalley.org/items/show/222.